The novel Clan of the Cave Bear is a unique saga written by Jean Auel that was set during the Ice Age at edge of the glacial ice in pre-historic Europe. If the setting is not enough, Jean made the plot of this novel to be also as unique as its setting. The Clan of the Cave Bear follows the life story of Ayla who is of a different race than his adopted tribe. Ayla belongs to the race which is the predecessor of the Homo Sapiens while the tribe that adopted her is of the Homo Neanderthal race. Ayla was adopted by the clan after an earthquake that killed her parents. She was adopted by Iza, who was the clan’s medicine woman, and was taken in the clan through the help of Creb, who is the clan’s greatest shaman. Iza and Creb are siblings and they served as Ayla’s new parents. The difference between Ayla and the clan is so much that clan members distrusted her at first. She was even considered ugly because her face is different from that of the women in the tribe. Through the help of Iza and Creb, Ayla begun to learn and love the tribe that adopted her. The clan, who believes in spirits, eventually accepted her because they believe that she is protected by great spirits. The Clan of the Cave Bear is great novel because of its uniqueness and the storytelling is not boring. Ayla’s character is interesting and there plentiful of conflicts that the readers can follow. The reader’s mind will also be filled with the imageries of the ancient flora and fauna and the tradition of the Clan, who worships cave bears. The other characters also give full color to the life of the clan. 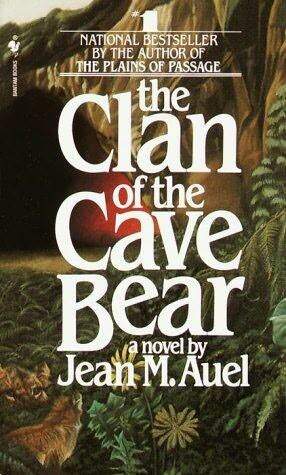 Clan of the Cave Bear is an interesting novel. It is great from the beginning until its dramatic end. Go to Before the Eastern Sunset and read about my new blog post, A Grace of Friendship.